SMIPIC’S RAGA DUO ROCKS AGAIN..!! SMPIC’s singer duo- Parshwa Shah and Bhaumik Bhatt clinched the first position in the duet singing competition at the inter-college dance and music festival ‘RAGA n ROCK’ organized by H.L.College of Commerce on 31st January,2014. Parshwa and Bhaumik mesmerized the audience and impressed the judges with their spectacular performance of the song ‘Zindagi Maut na Ban Jaye…’ from the film ‘Sarfarosh’ to leave the other competitors from 25 colleges behind. 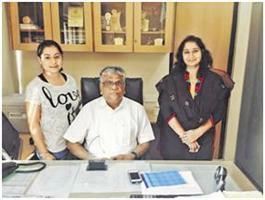 Principal Dr. Ashwin Purihit, and the entire staff of SMPIC congratulate the duo o their achievement. 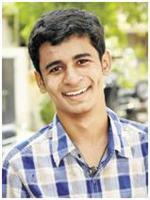 In “YOUNG VOTERS FESTIVAL- 2013” a State Level competition organized by the Election Commission of Gujarat State, Viveksingh Pabla of SMPIC bagged 1st prize in Ad. Film making competition in Gujarat state and was felicitated on 25th Jan 2014, National Voter’s Day in the presence of the Governor of Gujarat “Dr. Kamla Beniwal” by the Chief Electoral Officer of Gujarat “Smt. Anita Karwal” with a certificate of merit and cash prize of Rs. 25,000. He was also felicitated at the flag hosting event on 26th Jan 2014 by the General Manager of Reserve Bank of India Smt. Rakshadevi. 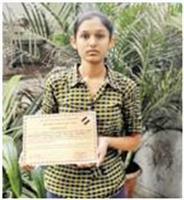 At the Fourth Youth National Voters Festival, 2013 conducted on 25th January, 2014 SMPIC student Kavisha Doshi has been awarded certificate of merit for winning 1st prize in poster making competition by Collector & District Election Officer Roopwant Singh of Ahmedabad district. SMPIC secured 3rd position in “Man Edge” Inter College Presentation Competition. Mansi Battiwala student of SEM-4 presented the powerpoint presentation on the topic of “Study on Financial Management” with relevant case studies. In Yuva Matdaar Mahotsav 2013” organized by Gujarat Government SMPIC had participated in 5 different competitions namely flash mob , Ad film making , poster making, poetry recitation and mascot making competitions. It was a state level competition organized in the month of August 2013 in which SMPIC won laurels in two events by securing second position in both Ad film making and Flash mob event at Ahmedabad District. Vivek Pabla of SMPIC secured second position in Ad Film Making Competition under the guidance of Principal Dr. Ashwin Purohit. He will be awarded cash prize of Rs. 1000/- and certificate of merit by Government of Gujarat .As a feather to the cap he secured 3rd position in West Zone in Javelin Throw (Athletics) in Khel Mahakumbh 2013 (State Level Sports Competition). Students of S.M.Patel Institute participated in “Protasahan 2013”, national level management and cultural festival organised by Ganapat University on 25th and 26th October 2013. Parag Shah and Purva Rewlani won the second prize in bollywood quiz. Students were awarded trophy as well as cash prize of Rs.1500.Two teams of SMPIC comprising of Gagandeep Bagga, Manthan Patel, Farhin Rainiwala, Himani Jain bagged third prize in treasure hunt and both the SMPIC teams were awarded trophy as well as cash prize of Rs.1000. In addition to this, individual appreciation was awarded to Vivek Pabla, Nishith Kumar and Krunal Shah. The office of the chief electoral officer, gujarat had conducted the “YOUNG VOTERS FESTIVAL, 2013 “ for the state of gujarat to promote awareness with regard to democratic participation amongst you. With the enhncement of this event : S.M.PATEL INSTITUTE OF COMMERCE had achieved 2nd position in FLASH MOB. And the participants are Varshil Shah, Jaimil Joshi, Aman Jain, Swarna Dhariwal, Aarpita Bhandari, Shefali Jain, Gagandeep Baga, Poojan Mehta, Shital Jain, Jyotika Sheth, Monika Mehta, Pooja Sheth, Devanshi Jadeja, Manthan Patel, Khusboo Parikh, Danish Ansari and Jay Patel. 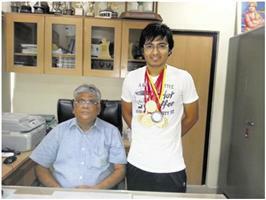 Harshal Patel, a TYB.Com student of SMPIC, created a record by winning 6 gold medals and one bronze medal at the 49th Gujarat State Shooting Championship on 18th September 2013. Congratulations!!! SMPIC WINS ‘JOSH’ ONCE AGAIN! S.M. Patel Institute of Commerce once again proved that it is far above the rest of the colleges in Town by winning the intercollegiate event Josh organised by NAEMD on September 30, 2013. 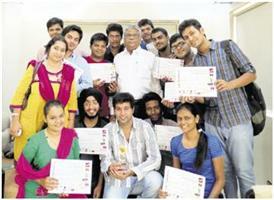 The college won the First prize in all the categories; Fashion show , Michael Jackson at Bollywood and the Indian Dance . The cheer for the college was so loud that the college won the prize for the loudest cheer as well. Principal Dr. Ashwin Purohit and the in-charge faculty members Prof. Bhavna Parwani, Prof. Bimal Solanki and Prof. Aashal Bhatt have always motivated the students to bring their best. 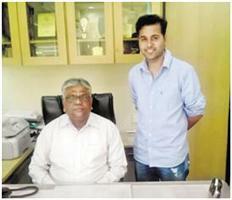 The college has received tremendous support from the management especially Shri Sudhir Nanavati for excelling in extracurricular activities and encouraging the students by awarding cash prizes. SMPIC has carved out a niche in folk dance and the year 2013 has been a very fruitful year in this regards. The folk dance in SMPIC begins well before the fervor of Navratri grips and the students burn the midnight oil to bring perfection in their performance. The outcome of this hard work has produced results from last few years. 1. Represented Govt of Gujarat at International Dushera Festival,Kullu organised by H.P.Govt.Smpic’s performance was covered in print media of kullu like Punjab kesari,Himchal bhaskar and Mera kullu. 2. 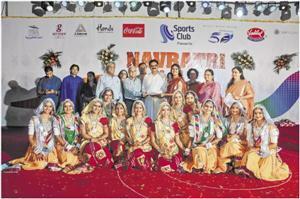 Stood 1st in Rajasthani dance and 2nd best dress in Raas in Navratri Mahotsav by Sports Club. 3. Stood 1st in Ahmedabad district Raas competition organised by Govt. Of Gujarat. 4. Represented Ahmedabad district at state level Raas competition . 5. Stood 1st in Interzonal youth festival organised by Gujarat University. 6. 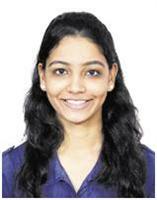 Will represent Gujarat University at west zone inter university folk dance event. 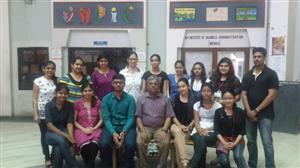 Adwani Jyoti (13), Jain Ritul(14), Shah Rushabh (16), Agrawal Nisha (18), Vejani Krupa (20), Vasa Kushal (20), Iyer Sanjana (20), Kapasi Malvika (21). Sarawagi Sachin (12), Shah Parth (16), Shah Mokshesh (17), Dedhiya Vishal (17). 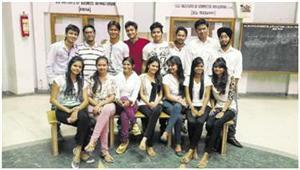 Parikh Parjani R. (18), Purohit Reema V (19), Goyal Dhiraj S. (20), Soni Durgesh D. (22). SHAH SHRADDHA JAGDISHBHAI (12), SARDAR HIMANI HARPALSINGH (12), PATEL PALAK BIPINBHAI (14), LAKHWANI BHARAT RAMCHAND (15), SONI KINJAL VIJAYKUMAR (16), PATEL JYOTI JAYANTILAL(16), DEORA ADITYA PRADIP (16), VOHERA RAHUL RAMESHKUMAR (17). The office of the Chief Electoral Officer, Gujarat had conducted the “YOUNG VOTERS FESTIVAL, 2013 “ for the state of Gujarat to promote awareness with regard to democratic participation amongst youth. S.M.PATEL INSTITUTE OF COMMERCE had achieved 2nd position in FLASH MOB. The participants were Varshil Shah, Jaimil Joshi, Aman Jain, Swarna Dhariwal, Aarpita Bhandari, Shefali Jain, Gagandeep Baga, Poojan Mehta, Shital Jain, Jyotika Sheth, Monika Mehta, Pooja Sheth, Devanshi Jadeja, Manthan Patel, Khusboo Parikh, Danish Ansari and Jay Patel. SMPIC represented Ahmedabad district in Zonal Youth Festival organised by Govt. of Gujarat at Bhuj where Kathanki Rawal stood 1st in Classical dance and Jaimil Joshi stood 2nd in Poetry completion out of 10 districts of Gujarat.